Will a decision to hold a second Brexit referendum be made? Over one million protestors marched in London on Saturday to demand a second Brexit referendum, according to organisers of the event. The massive rally of people from the United Kingdom flooded London's main streets and marched towards the parliament building on Saturday, March 23. It comes in a tumultuous week for Brexit that saw UK Prime Minister Theresa May ask Brussels to extend the UK's deadline for leaving the EU. 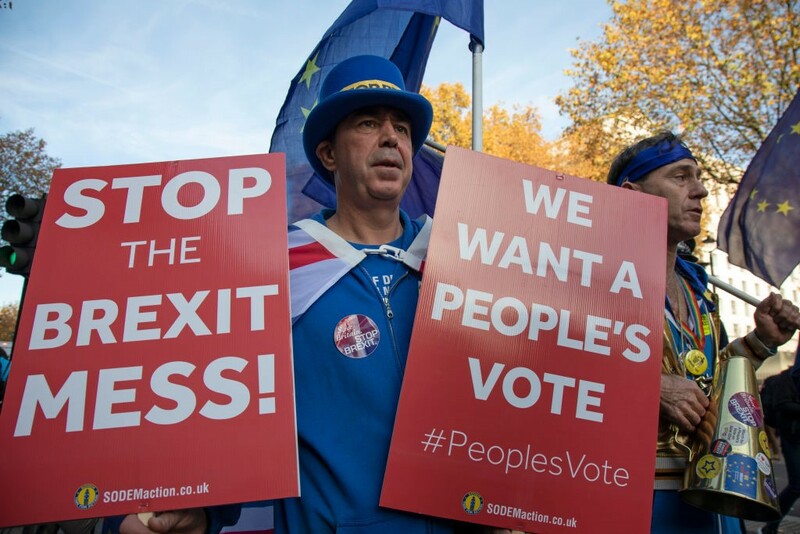 The protest drew people from all across Britain who are determined to force Prime Minister Theresa May's government to alter its march toward Brexit. This outcry coincides with a record-breaking petition – which is approaching five million signatures in under four days – to call on the UK to revoke Article 50 and remain in the EU. According to the relevant laws and regulations of the United Kingdom, once a petition exceeds 10,000 signatures the government must respond publicly and if the number of signatories surpasses 100,000 then parliament must conduct an open debate on the matter.